My first experience with wild horses came more than 20 years ago in Arizona when I worked with a horse whisperer who caught wild horses off the Hopi reservation. 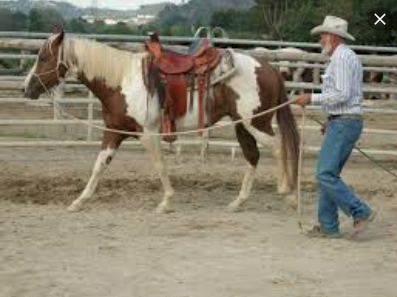 Steve Harris also trained BLM mustangs, both fresh and spoiled, and difficult domestic horses. 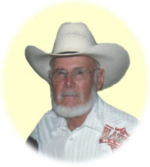 Steve was a working cowboy for 25 years on ranches in Arizona, Montana, Wyoming, and Washington. By the time I met him he’d become a horse whisperer with a program for training wild horses. Along with the program came the design for Port-a-Flex Safety Round Pen. A round pen is a small corral, usually 50 feet in diameter. In the early days round pens were built from saplings. Today they are usually formed by connecting portable metal fence panels that are 12 feet long and 5 feet tall. Originally, horse round pens were used for breaking broncs. Today they are used for gentling and starting horses, and for clinic demonstrations. Steve’s Port-a-Flex Safety Round Pen was made from Textilene, a fabric like material made of woven PVC coated polyester yarn, similar to what is used for awnings and sun screens. The Textilene was supported by PVC pipe and held tight with ropes and stakes, somewhat like a tent. Steve’s round pen had several advantages over the metal fence panel pens. It was lighter and took up less space to transport and store, and could be assembled by a single person. Steve transported his rolled up sections on top of his van which often doubled as his motel. It was a neat and easy system for a lone cowboy who trapped wild horses. Like most horse whisperers, Steve did a tremendous amount of ground training but he also rode the horses which gave his design another advantage. Having been thrown from a horse into a steel pipe fence, I can testify that bouncing into Textilene mesh is a much easier landing. It was safer for the rider and the horses, hence the Safety portion of the product’s title. We laughed together at one of Port-a-Flex’s flaws. If Steve would leave the wild horses unattended in the corral, sometimes they’d figure out how to burrow beneath the fabric and free themselves. The interesting thing about Touch of Love and Port-a-Flex is that Steve had a vision from God. He not only saw the round pen but God told him, “Teach people to communicate with horses, they will be better able to communicate with each other and some will come to communicate with me.” In his lifetime, Steve took “Touch of Love” through the U.S., to Canada, France, Spain, and Ireland. He taught his methods on the Hopi and Navajo reservations, and Tohono O’Odham Nation. Meeting Steve was a big leap from my days as a hunter/jumper rider on Long Island or my years of showing Arabian horses in the Mid-West. I’d spent time with horse whisperers but until I met Steve, I was not familiar with wild horses. Not only did he introduce me to my first wild horse and ignite a love for them, he took my on my first desert ride on a wild horse he’d reclaimed and trained. The last time I saw Steve was at the first BLM Wild Horse adoption event I attended. My daughter and I came home with our first wild horse. So many firsts connected with one person. Regretfully, Steve died shortly after my family moved back to the Mid-West. Although I learned a lot from Steve, I wish now I’d spent more time and paid closer attention and had been a little less critical of some of his ideas, as this was a man who was undervalued by his peers. Steve was a genuine cowboy who loved the Lord and the wild horse. Like the wild horse, Steve did not quite fit into the society and times in which he lived, but isn’t that usually the case with someone who is special and unique? I’ve included two videos of Steve and his methods below. And I’m pretty sure a person can no longer buy Port-A-Flex Safety Round Pen. Thanks for reading about Steve.